Due to Thanksgiving, we are publishing Monday and Wednesday this week. 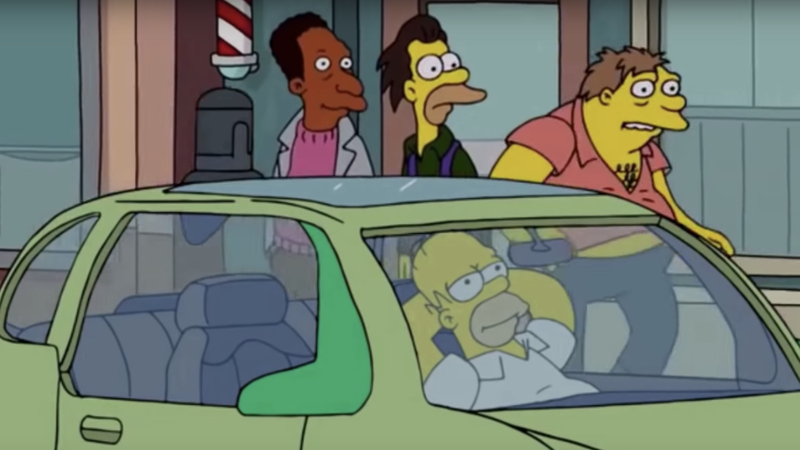 Homer Simpson gets a job testing self-driving cars. Screenshot: Fox's The Simpsons, season 30 episode 5, "Baby You Can Drive My Car"
The training typically lasts at least a month, and involves both classroom instruction and driving on a test track. Waymo recently became the first AV company cleared to test vehicles without human safety drivers in California — which has far more congestion than Arizona, the only other state that has granted permits to driverless vehicles, Sudha Jamthe, CEO of IoTDisruptions, writes for Axios Expert Voices. Why it matters: As AVs make it onto the road, they will interact with human drivers, pedestrians, cyclists and other driverless cars, but there is no industry standard for how they should signal their driving intentions — or even an agreement that they'll have to. Uber is exploring AV intention systems that could communicate to pedestrians using flashing lights, sounds and potentially projections. What we're watching: Ford is calling for AV companies, the International Organization for Standardization, and the Society of Automotive Engineers International to collaborate on standards for AV communication. I want to hear — and share — what you're reading about AVs. Send me a link to an article and your expert analysis of why it matters to joann.muller@axios.com. "Finally it appears we have an entity that's intellectually honest about the capital allocation required for these tasks." Why it matters: Steve Wozniak used to be a believer, but apparently his disappointing experience with Tesla's AutoPilot soured him on the potential for driverless cars. My thought bubble: Instead of using Tesla as the bar, he might want to check out progress at Waymo or GM. Or even at his former company, Apple, which has been rehiring AV engineers lately. My thought bubble: I wonder if an underwater robot can find my sunglasses that fell overboard last summer. Screenshot from "MyPark in 30 seconds" demo video on YouTube. 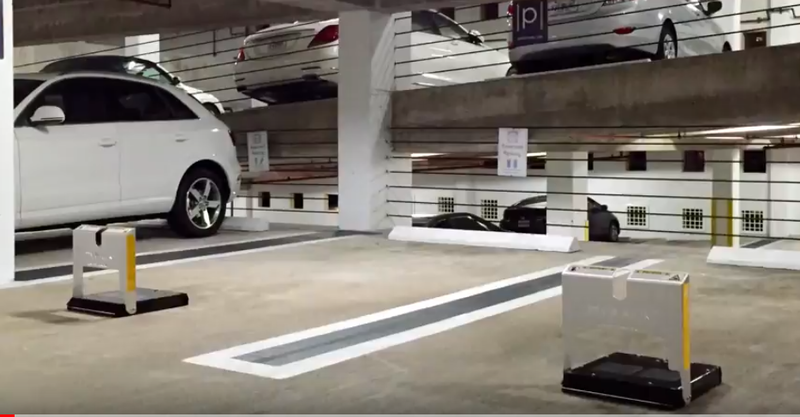 Here's a potential time-saver this Black Friday: a smartphone app that will deploy a robot to hold a parking space for you at the mall. Details: MyPark is a Miami-based parking reservation service that, per Forbes, deploys mobile space blockers to hold spots for customers willing to pay a few dollars for the convenience. The app triggers a pop-up rectangle that blocks other cars from parking in the reserved space. When the rightful renter arrives, it folds down flat so they can drive over it. The startup has deals with some of the country's biggest mall operators, including Simon Property Group and the Mall of America. Its spaces are close to the mall entrances, making the reservation service doubly attractive. My thought bubble: Parking is a pain, especially during the holidays. If you can use technology to save your spot, you don't have to push your kid out of the car to stand there while you circle back around. And you don't have to tip the valet, either.